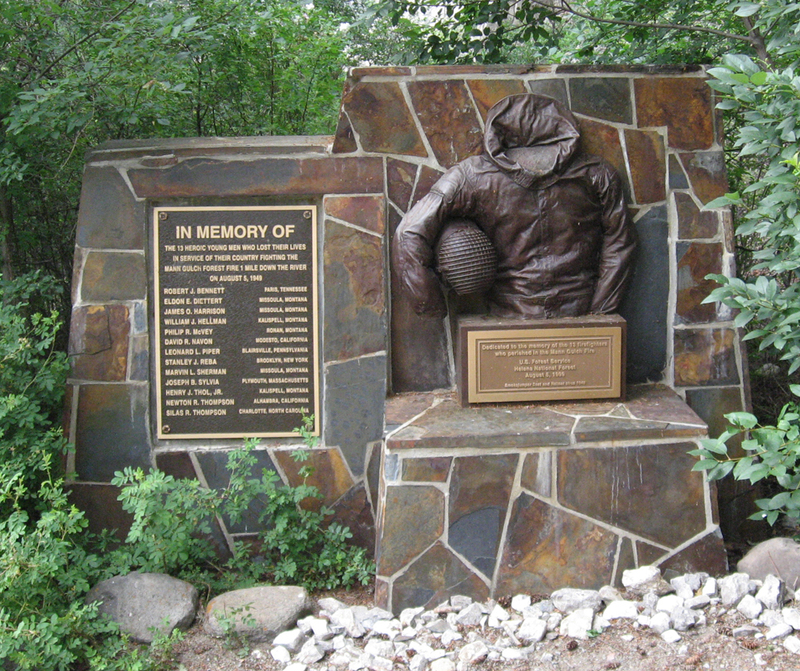 Cold Missouri Waters: On August 5, 1949, a crew of fifteen of the United States Forest Service's elite airborne firefighters, the Smokejumpers, stepped into the sky above a remote forest fire in the Montana wilderness. Two hours after their jump, all but three of these men were dead or mortally burned. 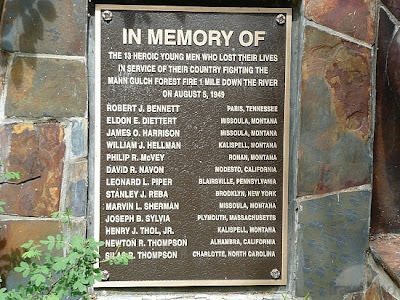 Haunted by these deaths for forty years, Norman Maclean put back together the scattered pieces of the Mann Gulch tragedy in the now classic Young Men and Fire. Young Men and Fire won the National Book Critics Circle Award in 1992. The fire started when lightning struck the south side of Mann Gulch, in an area named by Lewis and Clark in the Gates of the Mountains Wilderness. The fire was spotted by a forest ranger around noon on August 5, 1949. James O. Harrison, the recreation and fire prevention guard for Meriwether Canyon Campground, had given up his former job as a smokejumper to find a less dangerous profession. On this day, however, he fought the fire on his own for four hours before he met the crew of smokejumpers who had been dispatched from Missoula, Montana, in a C-47. After the smokejumpers had landed and gathered together, Foreman Wagner Dodge went off to scout the fire status while the remainder of the team ate. When he returned, Dodge told the team to get on the North side of the gulch and 'sidehill' (keep the same contour) and move "down gulch" towards the Missouri River, because they could then fight the fire from behind it. Dodge stopped to eat and to discuss additional plans with Harrison, who knew the local terrain well. He noticed however that the smoke was starting to boil, and he became concerned. He decided to rejoin his men as quickly as possible and get them out. By that time, the fire had jumped the gulch from the south side to the north side, downgulch from the men. It had 'blown up', spreading much faster than anticipated, due to various weather and environmental conditions. This was unknown to the crew because various ridges running down the slope obscured their view of the slope. Only when they came over a ridge did they see the huge fire coming at them, only a few hundred yards distant. The men had to turn around and run for it. Soon after, Dodge ordered them to drop their heavy tools (shovels, Pulaskis, saws). When Dodge realized that they would not be able to outrun the fire, he started an escape fire, taking a match and burning an area of grass to lie in so that the fire would burn around him and his crew. He ordered everyone to lie down in the area he had burnt down. In the book that he later wrote, he claimed that he had been "lifted off the ground" several times by the fire. He later claimed he had never heard of such a fire being set, it just seemed "logical", and it was thought to be an on-the-spot invention. However, plains Indians had used the technique to escape grass fires and it had been written about by authors in fiction stories in the 1800s, e.g. James Fenimore Cooper (1827) in The Prairie. However, it is unknown if the crew heard or understood him. The group had spread out while running to escape the fire and was strung out along a good stretch. The noise of the fire had also become intense by that time. The 'escape fire' technique had not been part of their training. Dodge later stated that someone said, "The hell with that, I'm getting out of here". The other team members hurried towards the Mann Gulch ridge, hoping they had enough time to get over the ridge to safer ground; though fires spread quickly uphill towards a ridge, they are significantly slower coming down the other side. Only two of them, Bob Sallee and Walter Rumsey, managed to escape through a crevice, came to the other side of the ridge in Rescue Gulch, and found a safe location, a rockslide with little vegetation to fuel the fire. Diettert had been close behind Sallee and Rumsey, but he did not go for their crevice, for unknown reasons. The two had no way of knowing if the crevice actually 'went through' so it was lucky that they survived. Two other members initially survived with heavy injuries, but died within a day. 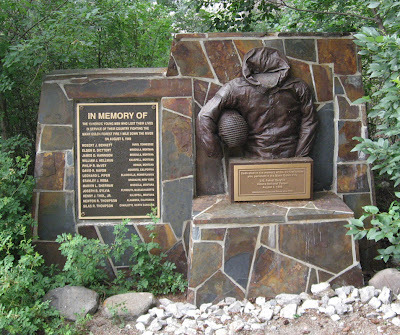 Unburnt patches underneath the bodies indicate that the rest of the team, including Jim Harrison, suffocated before the fire caught up with them. Everyone had jumped by around 4:10 pm. The scattered cargo had been gathered at about 5:00 pm. At about 5:45 pm, the crew had seen the fire coming up towards them on the North slope and had turned to run. By 6:00 pm, the fire had swept over them. The time of the fire was judged by wristwatches stopped by the heat. 450 men fought for five more days to get the fire, which had spread to 18 km2 (4500 acres), under control. Wagner Dodge survived unharmed and died five years later of Hodgkin's disease. 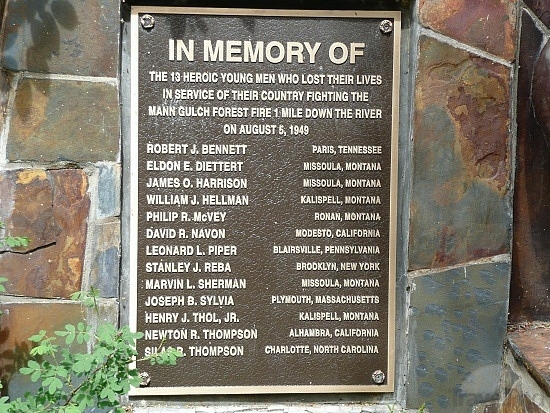 Thirteen crosses were erected to mark the locations where the thirteen firefighters who died fighting the Mann Gulch Fire fell. However, one of the smokejumpers who died in the Mann Gulch Fire was David Navon, who was Jewish. In 2011 the cross marking the location where Navon died was replaced with a marker bearing a Star of David. 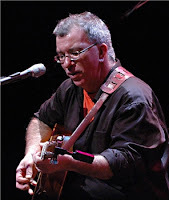 James Keelaghan (born October 28, 1959) is a Juno award-winning Canadian folk singer-songwriter. Born in Calgary, Alberta and now based in Winnipeg, many of his songs, such as "Kiri's Piano", about the internment of Japanese Canadians, and "October 70", about the FLQ crisis, are inspired by events and figures in Canadian history. Known for his lilting baritone voice, his driving rhythm guitar, and a keen sense of scene and narrative, Keelaghan’s music bridges traditional folk music with Canadiana. His song Cold Missouri Waters, about the Mann Gulch fire of 1949, was covered by the band Cry Cry Cry in 1998. 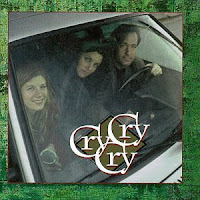 Cry Cry Cry was a folk supergroup, consisting of Richard Shindell, Lucy Kaplansky, and Dar Williams. The band released a single eponymous album of cover songs on October 13, 1998. The trio performed together on an extensive tour in 1999, singing mainly the songs included on their collaborative album. The tour was met with very favorable reviews. The album Cry Cry Cry was a great success on folk music radio. It ranked as the fourth most played album by folk music DJs in 1998, the fifth most played in 1999, and remained in the top 250 through 2002. Noah! Send Out The Dove!